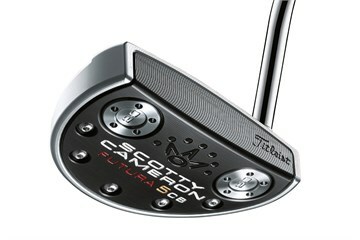 This sleek, rounded "cavity back" mid-mallet with its curvy, machined aluminum flange plate anodized black sets up just as it should with easy alignment for the ultimate in confidence, a multi-material putter worthy of the term finely milled. 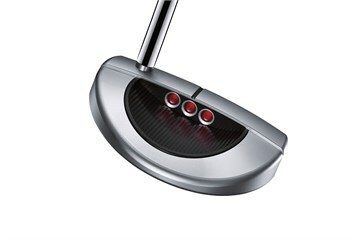 Combining heavy stainless steel with lighter aluminum components allows Scotty to design larger putter heads that distribute weight back and to the perimeter for enhanced MOI, stability and performance. 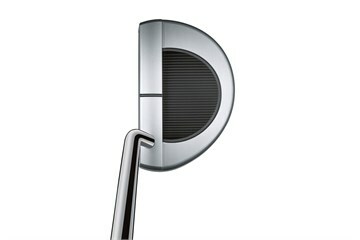 Scotty's tour-proven heel-and-toe stainless steel sole weighting technology increases stability and forgiveness.